Knowing how to count out money, make change, and add and subtract dollar amounts is one of the most practical life skills children need to learn. 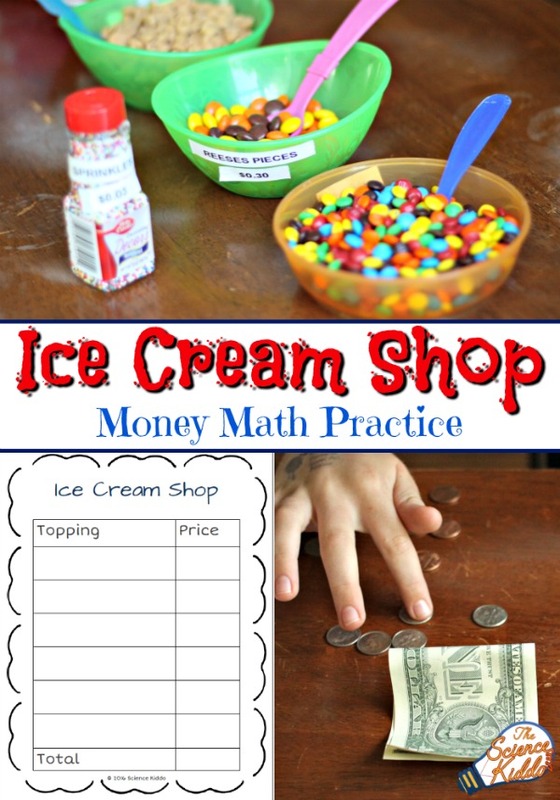 We designed this fun and delicious ice cream bar to help the kids practice their money math skills with the reward of a frosty treat at the end! 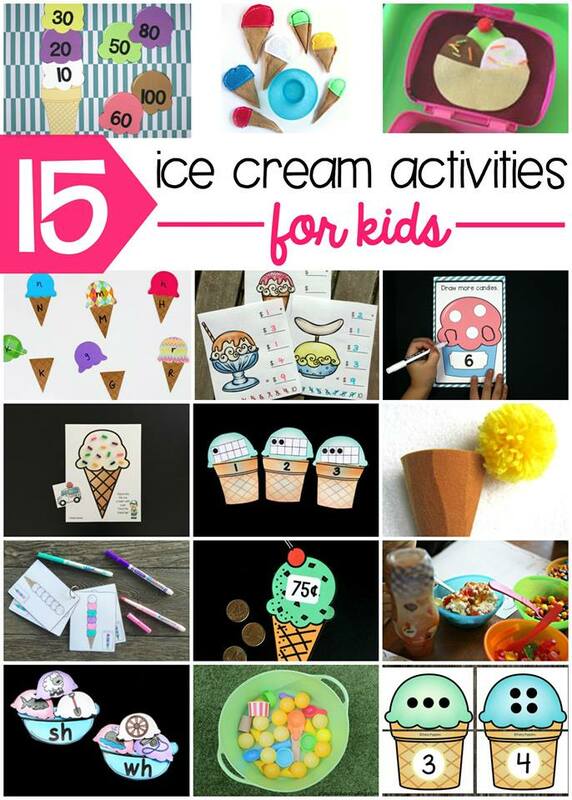 At the end of this post you will find 15 additional fun and educational activities to do with ice cream. So keep reading! This activity take s a little bit of preparation to set up, but the reward is well worth it! We went to the store and admittedly went way overboard buying ice cream and toppings. When we got home we made labels for each topping detailing how much each item “cost”. 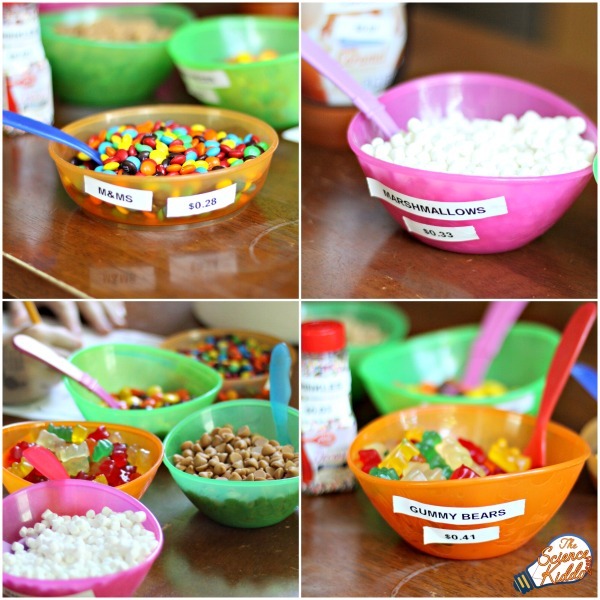 We used our label maker, but if you don’t have one you could easily use masking tape and a Sharpie to label each topping. You can customize the dollar amounts for your child, depending on his or her age and experience with money math. If I was setting this activity up for a four-year-old I would be use whole dollar amounts. For a five-year-old I would use the amounts that correspond to each piece of currency. (In the United States that’s $0.01, $0.05, $0.10, and $0.25.) 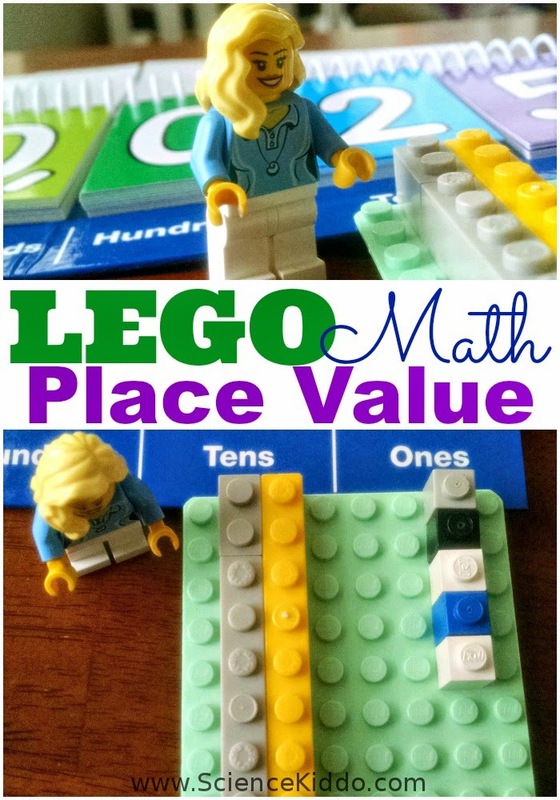 If your child is already familiar with money value I would use random values so that the child has to figure out how to make that amount with the change they have. We have a cup of change that I let my kids use for money math practice. You could also use play money. Print out the free Ice Cream Shop order form below and you are ready to play! 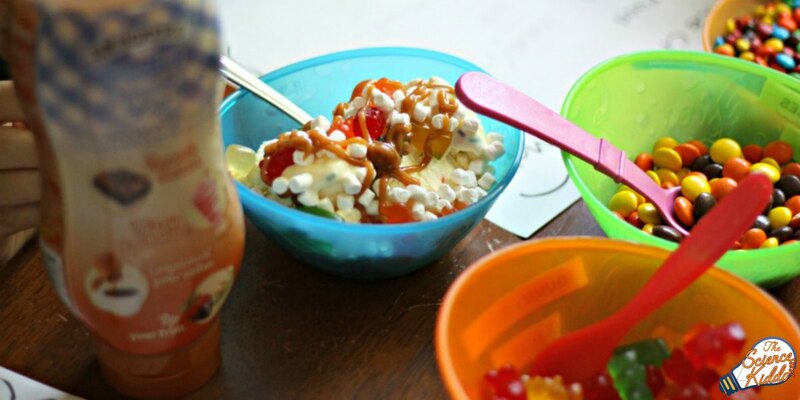 The child acts as the customer and selects the ice cream toppings they want. After selecting a topping the child records the price on their order form. (This is great writing practice as well!) When they are all done ordering they add up the total cost, count out their money, and pay you for their ice cream! You can also switch roles so that your child is the cashier and you are the customer. 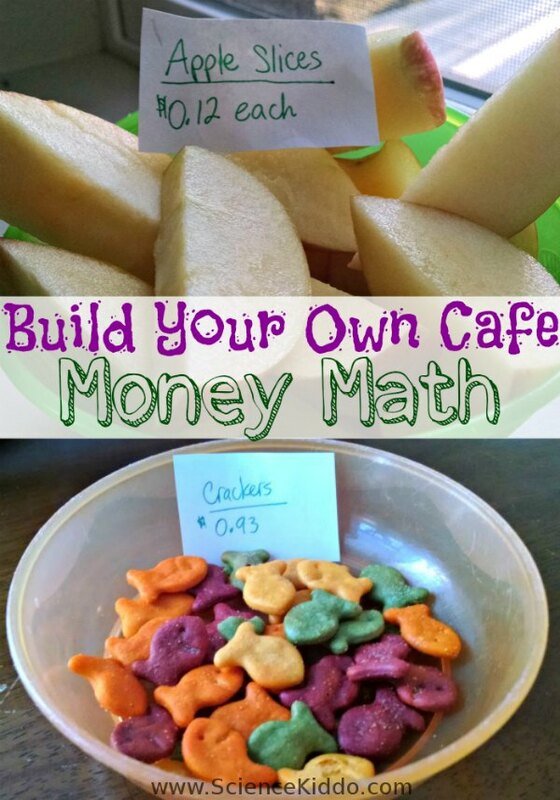 Playing Money Math Cafe is something we do often at snack and meal times. 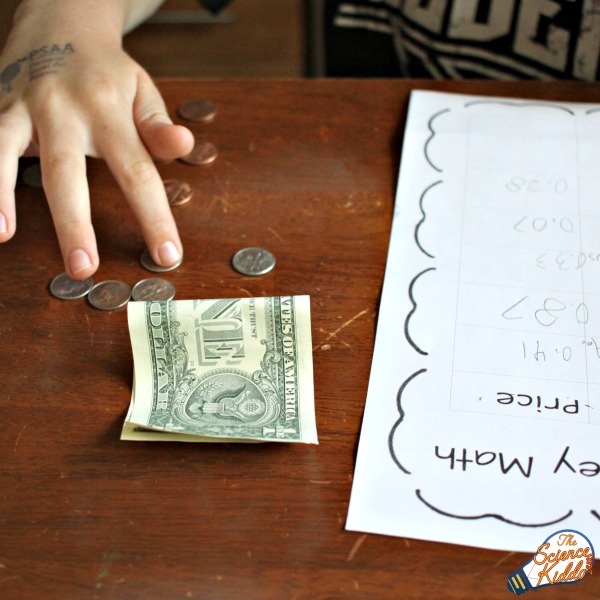 It’s fun to role play being at a restaurant, plus it gives the child great practice with money math! 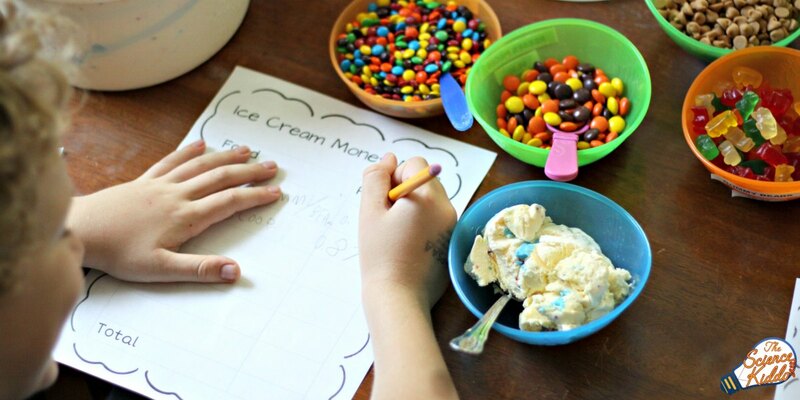 As a reward for all that money math work, enjoy your delicious bowl of ice cream! 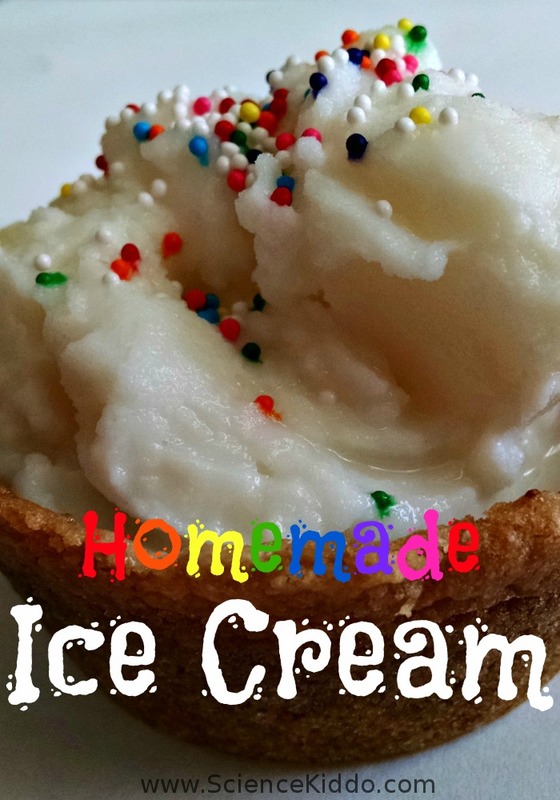 Check out 15 more learning ideas with ice cream!